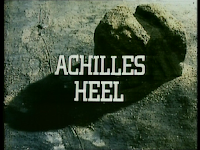 From the Archive: A British Television Blog: Is Moonbase 3 Barry & Terrance's Achilles Heel? 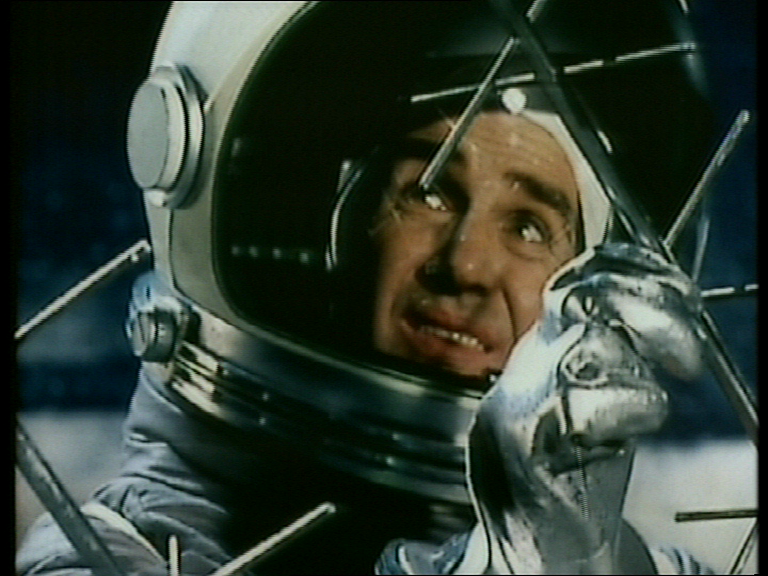 It’s a nice change to get away from writing opinion on a political thriller and this week we go into outer space with Moonbase 3. What is really interesting is out of the two series, To Play the King and Moonbase 3, it may be surprising which one of the two is fantastical and the other trying to be more realistic. The one set on Earth in the 20th Century is meant to be more fictional and perhaps even sensational while the one is set on the moon is actually meant to try and be more realistic even to the point of bringing in James Burke as a script advisor. 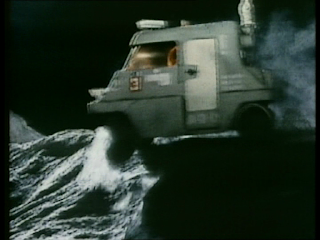 Moonbase 3 is the short lived series that ran in 1973. 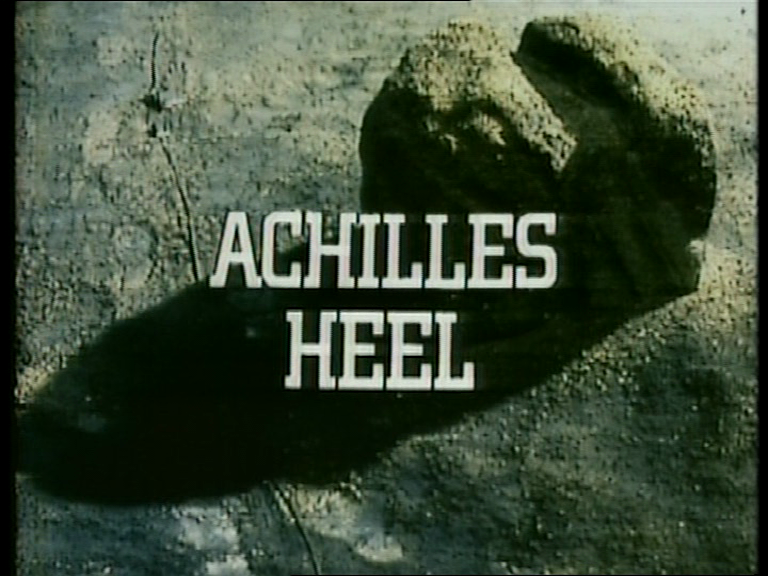 It was produced by Barry Letts and script edited by Terrance Dicks. This was a successful partnership with the two men doing the same roles on another little known series called Doctor Who. Alright, so Doctor Who wasn’t a little known series. In fact it was more popular than it had been in years. Jon Pertwee was the Doctor and the series had just celebrated its tenth anniversary. It was a prosperous time for the series. Barry & Terrance were smart. They both had been working on Doctor Who for a very long time and both wanted to move on. Most successful people, in any arena know that to continue to be successful you need to make your own opportunities. The two men started to come up with ideas for a new TV series so that they could transition away from Doctor Who. The first attempt was created from an idea of working with the Navy as they did on The Sea Devils. Just as they were about to present their ideas, a similar series known as Warship was commissioned. The two men decided on a different approach. What if there was a way to do a series on the Moon but not make it fantastical science fiction? The point being that it was people who deal with the same problems as they do on the Earth but this would be set on the Moon. Plus the technology and living arrangements on the Moon were displayed as accurately as could be thought at the time. It could work. One person thought it was worth a go was BBC Head of Drama Shaun Sutton. 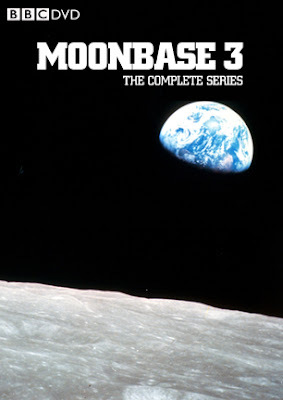 The series was Moonbase 3. Whenever I watch this series or I should say dip into this series, it seems like there are 10 or 15 main cast members. I don’t know why, it seems like a lot of people. Well, I was wrong. There are only 4. Dr. David Caulder who is the director of Moonbase 3 and is in charge, Deputy Director Dr. Michael Lebrun, Director of Operations Tom Hill and Psychologist Dr. Helen Smith. On Moonbase 3 there are multiple projects going on at once. I think one of the points of this series is that when human nature is involved, it doesn’t matter where in the universe you are, some things never change. For example, have you ever seen Star Trek: First Contact? There is a scene on board the Enterprise-E where Picard tells the newly arrived Lily that from the time he comes from, there is no need for money. I think that is a very inspirational traditional sci-fi futuristic sort of concept. On Moonbase 3, money is a huge problem. There is never enough money and during a time of economic unrest in the UK in the 1970s, a lot of the money issues on Moonbase 3 is understandable. They rightfully show that money and government spending will always be around. Dr. Caulder is directed to complete the projects he has going on at the base on time and under budget. Money is tight for the UK government. I like how in this future there are no World governments. There are still all the same World powers as there were in the 1970s. Caulder is directed this initiative by the Director General who is played by Peter Bathurst or better known to some of us as Chin from The Claws of Axos. Of course, as usual, Chin would make things difficult for the working man, even in the future! The pressure is on. What makes things difficult is that there have been some accidents on the base. All the accidents have been confined to the CORA project. One accident has a very expensive and complex piece of equipment overload. It looks like it could be operator error. Professor Kate Weyman is very careful but what else could be the problem? It appears to have been her fault. Kate is played by Anne Ridler. 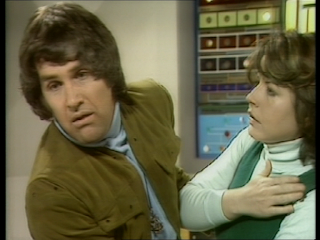 Anne is known to Doctor Who fans in the memorable role of Dr. Gemma Corwyn in The Wheel in Space. Sadly, a few of the crewmembers question if part of the problem for her mistake was due to her age. Nice! Kate is only a middle-aged person. She is not that old. Then there is Bill Knight who nearly died on the surface of the Moon because he did not have enough oxygen in his suit. Luckily there to save him was Adam Blaney. Adam, Kate, and Bill are the only ones on the base to work on the CORA project. Adam seems like a nice enough man yet he is still getting over the crushing despair of being left of the mission to Venus because he doesn’t have a healthy heart. Adam is also a talker. You know the kind. The ones who seem to go on about giving advice and opinion on people and then you realize that they are really talking trash. It is Adam who is suggesting that Kate is getting old and that is what caused her from making the mistake with that piece of equipment and now he is also working on Bill. Adam has told the newlywed Bill that he wouldn’t be surprised if Bill’s wife Dodi would be looking for someone else since Bill has been on the moon for so long. This causes Bill to resign from the Moonbase and demand to go back to Earth immediately. Even after having a video conference with his wife Dodi to get him to stay on the moon, Bill is not convinced. The only person who looks like things are going well is for Adam. Adam is happy to give out advice to everyone, even if they don’t ask for it and also has started a relationship of sorts with Helen Smith. Unfortunately for Adam, looks are deceiving. Dodi was able to get Bill to stay with the Moonbase. Everything seems to be working out alright except all the equipment breakdown needs to be fixed. While that is going on, Bill and Adam drive one of the moon buggy’s to another research outpost where Bill is going to stay and monitor progress. I have to admit that the special effect for the moon buggy’s drive on the moon’s surface isn’t that bad. I think it was on par with any Gerry Anderson Supermarionation effect of the day with the exception this is shot on 16mm film instead of 35mm. Even the music is easy going while the buggy is leisurely travelling the moon’s surface. 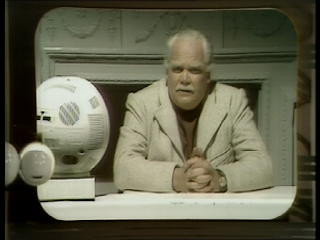 Once Adam gets back to Moonbase 3, he has a videolink with Bill and gives him some info Bill previously didn’t know. Previously, the Director General Chin told Caulder than no one can leave the Moon and needed to finish their projects. No leave for anyone. That Director General Chin, if he is not trying to hoard Axonite for the UK he’s disrupting people’s leave from the moon! That Director General, what a Plonker! Anyway, Adam assumes this is why Bill was forced to stay which is not the case. Adam continues to get into Bill’s head. Bill becomes furious and become very unstable. He is threatening to destroy the outpost base he is at which would destroy a ton of research unless he is allowed to go back to Earth now. Caulder agrees to send Bill home and sends Adam to pick him up. Helen decides to go with him. It is thought that Bill is the danger but that is the mistake. Adam really likes Helen and it is not really clear what Helen thinks about Adam. When they get to the research outpost, they subdue Bill and get him to sleep for a while. Adam seduces Helen and although she says no he still persists until she slaps him. Adam is crushed but it is not about Helen rejecting him, It is more complicated than that. It is about the Venus project rejecting him and he is overlaying that emotion over everything else. On the way back in the moon buggy, Adam is so distraught he tries to veer the buggy of the “road” to kill everyone in it including himself. No one is seriously injured but Helen works out what happened. Adam was more upset over being rejected for the Venus probe than he let on to other people. He subconsciously sabotaged everything else on the project including Bill’s spacesuit and the equipment Kate was using. 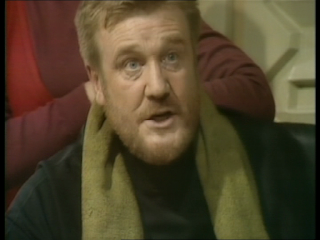 When the complete set of episodes of Moonbase 3 were found in 1993, legend has it that Ian Levine called up Terrance Dicks to enthusiastically let him know that the series was found only for Terrance to say “Oh no!”. I had even heard the story where Terrance tells Ian to tell them to lose it again! I didn’t even know about Moonbase 3 until it was found in 1993. The series was a co-production between 20th Century Fox, BBC and ABC affiliates. One day, I was watching the Sci-Fi channel (not Sy Fy, we will have none of that here) in 1993 or so and a promo came on for the “Lost” British sci-fi classic Moonbase 3! I was intrigued and I think they promoted it as part of their Archive Series or Signature Series. Can I just say that although I never thought the Sci-Fi channel was great and I really deplore Sy Fy, once in a while they would show something you would never see anywhere else. In this case it literally was true. If I understand it correctly no one, not even the BBC, knew this series existed until Sci-Fi announced they were going to show it. Somewhere in the vaults of 20th Century Fox television, 6-2” NTSC videotapes were collecting dust and no one knew they were there. Do you think more lost British TV is out there on shelves of TV libraries, I don’t; not anymore. So I was watching this episode from the Second Sight DVD release of 2002. Of course I needed to remake the cover because theirs was garbage. What I am watching and all that is publically available are episodes of 625 line PAL masters that were converted to 525 line NTSC and re-converted back to 625 line PAL for this DVD release. Sadly for me, when the series was shown on Sci-Fi I did not tape it. Even if I did, it would have been at EP quality back then. Sci-Fi would have shown it in NTSC which would have been higher quality than what is on the DVD set only because of the conversions back and forth. That said, I don’t think it looks that bad. It’s not great. The series is set in dark rooms and since space can be dark too, well things don’t look that bad. Since the DVD release there has been tremendous leaps in restoration technology! A process called Reverse Standards Conversion (RSC) was created, originally back in 1994 which would unpick the fields of the NTSC conversion to try and reverse the video to PAL. In this regard the achievement is the fluidness of movement which is lost with the conversion to and from NTSC to PAL. I spent a considerable time looking through old articles because I thought it was mentioned that the process for RSC won’t change. The side effect of RSC is the considerable amount of video noise it generates and how that is dealt with may evolve. The reason why I am looking through articles is because I thought I read somewhere that all NTSC material that resides in the BBC archives that originated from a PAL source which is now lost have been converted using RSC and exists in a raw state to be worked on when the time is right. This would mean that Moonbase 3 possibly would have been converted and could be restored. The problem is, is there still a market for the series. Is there a desire for a re-release of this series? Moonbase 3 isn’t bad. I certainly don’t think as bad as what some people say. Director David Caulder is a little lax on some of the rules. He sees the people on his base as human beings and understands the sacrifice they have given to spend extended periods of time on the moon away from all family and friends. 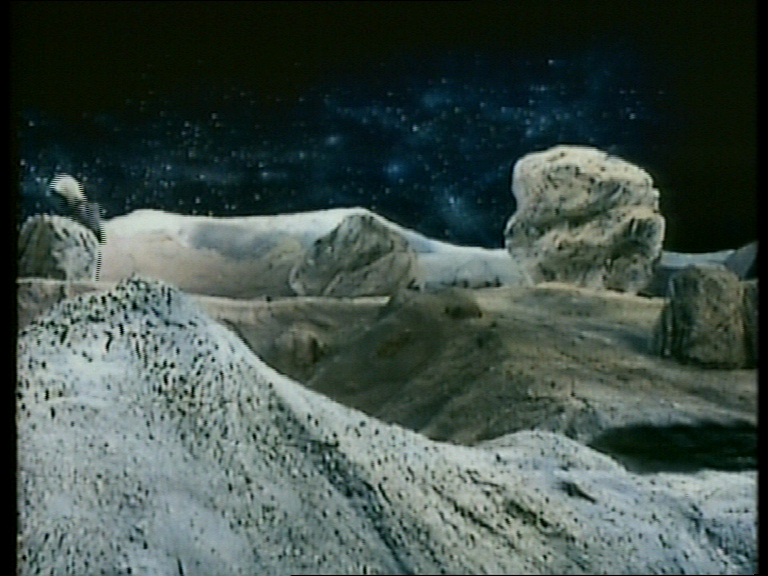 The reason why Terrance talks so unpleasantly about Moonbase 3 is that the series loses the wonder of being in outer space. He says, “The trouble was we built a too restrictive format for ourselves…” and that the series "lacked a sense of wonder and outrageousness". I can agree with this. A lot of the budget troubles miring the Moonbase wasn’t too far from the economy in the UK during this era. I can see when people tune into a series set on the moon or in space they may want some escapism and not government downsizing and bickering but only in space. I always thought the people, costumes and sets look like they have come straight out of Frontier in Space Episode Three. There are no monsters. This is a serious program to tell us what it could be like if we really tried to live on the moon. I like the scale of the production. Sets are small and cramped. Not overly lit and minimal. The series takes place in 2003. The clothes people wear are not outrageously different to what was being worn when the series was made. Small personal computers were all over the place on the base. Even though they look hideous the point is taken. No one would have ever imagined that touch screens would be real, or is that just me? It was a scientific research and administrative stations; no frills! The effects look reasonable. You want a buggy to drive across a moon surface? Get a miniature. The shots of the actors on the moon were done quite well. Although space looked like it was nighttime on the Earth. Moonbase 3 space has all the stars in the sky and it is bluish and there is no intense glare from the surface. It worked for me; I liked it even if it is not accurate. Luckily this wasn’t called Moonbase 2003 because that would really date the series. 2003 has come and gone. The space race really is out of the hands of the government and it looks like it can be more of a private venture now. Will we ever colonize the moon? Obviously, I do not have a crystal ball but sadly, I really can’t see it happening in my life-time. The closest I will get is Moonbase 3, or The Moonbase (just not episode 3 or 1), or Space 1999…..you get the idea. It was announced on March 29th that Jonathan Lynn and Antony Jay will be reviving Yes, Prime Minister for the UK channel Gold. It will be based on the writers’ 2010 stage play. I love this series very, very much so obviously I am not sure what to make of this. It seems to me you can make this show any number of ways and it doesn’t necessarily need to be those characters. 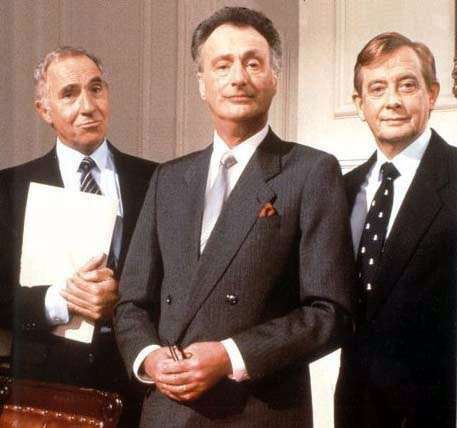 Part of the fun of Yes, Prime Minister was from the time it was set and the time it was made. It’s funny that the BBC themselves don’t know about their own original series. In their article it says, “The original Yes, Prime Minister series ran from 1980 to 1988 for 38 episodes.” Not quite true but it does hit on something I brought up in my Yes, Prime Minister article from November. I said that I have always considered Yes Minister and Yes, Prime Minister as one series. Clearly these people do too but accurately, it was Yes Minister from 1980-1984 and Yes, Prime Minister from 1986-1988. Get it right BBC! You know how athletes have their numbers retired when they retire from sports because they contributed so much to their team and no one else can ever wear that number for that team again? I think they should do that with TV characters that have been played so amazing by an actor, so definitively, that no other actor can play that role again. My case in point is Nigel Hawthorne as Sir Humphrey Appleby. I do not ever want to see anyone play this role again. Nigel’s interpretation and delivery was impeccable. He was a villain to Hacker’s good but Humphrey was extremely likeable even when he was doing stuff behind the Prime Minister’s back. As much as I think Paul Eddington is irreplaceable for Hacker, this new series have their work cut out for them to cast an amazing Sir Humphrey. How much do you want to bet the character is re-tooled to be a woman? I wish them the best of luck. I look forward to seeing what they come up with for this series. Next week: Do you know who Peter Halliday is? He played a myriad of roles in television from the mid-1950s to early 21st century. He passed away in February. 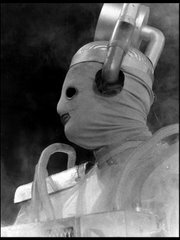 I loved him in everything he had done and for me my favourite program he was in was playing Packer in the Doctor Who story The Invasion. Next week, I will write about the 1961 series A for Andromeda. I am going to watch the whole thing. Most of it is telesnaps and one episode exists along with a lot of film extracts. It will be fun; I hope you come back and give it a look. Moonbase 3 sounds like an entertaining bit of fun, will have to check it out sometime. As for the revival of Yes, Prime Minister, I have just one question. Anyway, enough ranting. I will give it a chance, but will not expect a miracle of comedy. Moonbase 3, to me, is a nice curios. Not a series I really go back to on a regular basis. I am trying to keep an open mind to Yes, prime Minister but I fall into the the same category as you. I just don't know why we would need to have a new series with those characters. Like I said, I am trying to keep an open mind but after re-reading my comments, clearly I am not. I don't know if the Beeb ever checked but Moonbase 3 was shown here in Canada in the early 70s, so perhaps copies could still exist in a TV archive here. I always remember watching the show as a teenager and enjoying it and then saw it again on VHS many years later. My overbiding memory of seeing it years later - I have the DVD but not watched it yet - was that the show was good, but terribly slow and the plots dragged a lot. I think "Star Cops" which could almost be considered a remake, was far better but still I'd recommend Moonbase 3 to anyone interested in archive British TV. This is interesting. I wonder if this all connected to when the series went out of syndication. Kind of like how colour Pertwees were still running here in the US while the PAL masters have already been wiped. When you saw it on VHS, was it from the PAL release? I would be very curious to see an NTSC sourced video of these episodes to see how they compare to the re-converted PAL ones used on this DVD release.